Diageo has opened its first Johnnie Walker House in Europe at Amsterdam Airport Schiphol, making some of its exclusive bottlings available on the continent for the first time. The two-storey ‘part gallery, part museum’ is a new permanent installation at the Dutch airport, offering a tasting bar, ‘theatrical’ educational sessions and a shop to purchase the full Johnnie Walker range. Exclusive to the Johnnie Walker Houses are the John Walker & Sons Master Blenders Collection, Johnnie Walker Epic Dates Collection, and Johnnie Walker House Zodiac Collection. In addition, the Amsterdam House will offer an exclusive Schiphol edition of Johnnie Walker House Blue Label Casks Edition, commissioned to celebrate the opening of the installation and illustrated by artist Merjin Hos. 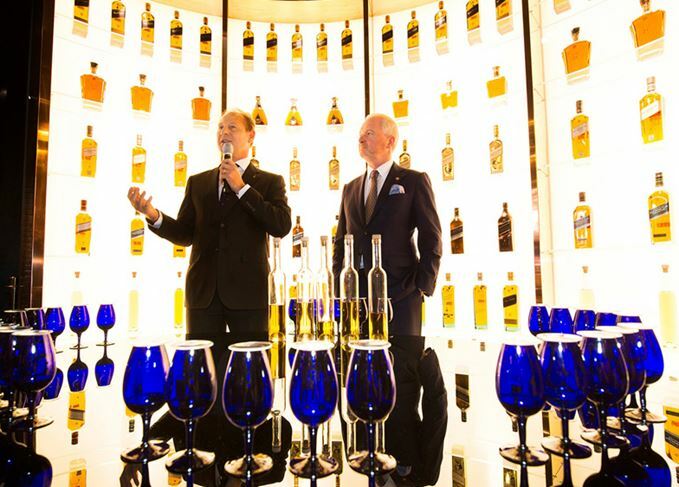 Previously these bottlings were only available to visitors to the flagship Houses in Shanghai, Beijing, Seoul and Chengdu, and Singapore, Taipei, Mumbai and Johannesburg airports. Registered members of Johnnie Walker Houses are able to purchase tasting sessions in the Schiphol House private bar, although the House is open to all passengers travelling through Lounge 2. Amsterdam Schiphol is Europe’s fifth largest airport, with over 26 million travellers departing and arriving each year. According to Bagley, the airport’s visitors are estimated to grow faster than any other in Europe over the next few years. How does a cask’s background impact whisky? A whisky scent bar and exclusive bottlings feature at the Middle East’s first Johnnie Walker House. The US$25,000 John Walker Masters’ Edition is the oldest expression released by the brand. The brand’s experimental Blenders’ Batch Sherry Cask Finish debuts as a travel retail exclusive. The blended malt brand is launching a new expression with a higher proportion of Islay malt. Johnnie Walker’s Private Collection series has come to an end with the Midnight Blend. Copyright © ScotchWhisky.com 2019. All Rights Reserved.